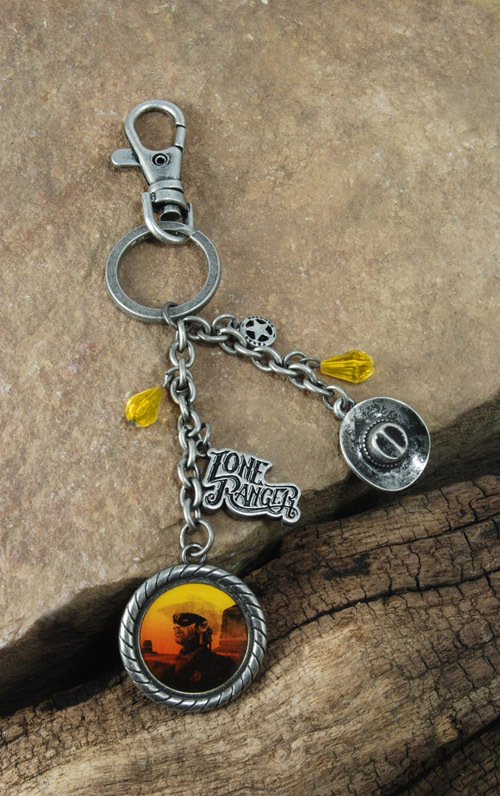 Perfect for backpacks, messenger bags, purses, keychains and more! 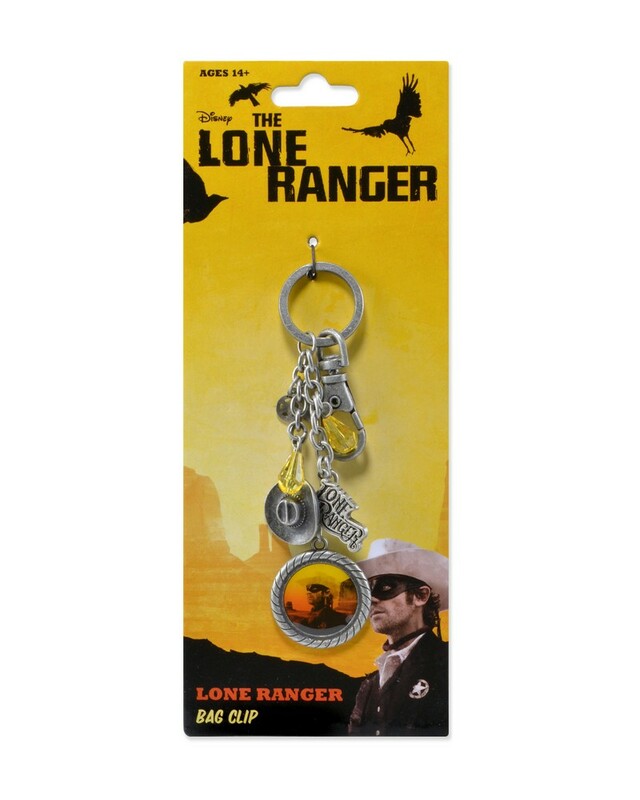 This sturdy bag clip from Disney’s The Lone Ranger is themed after the famous masked man. 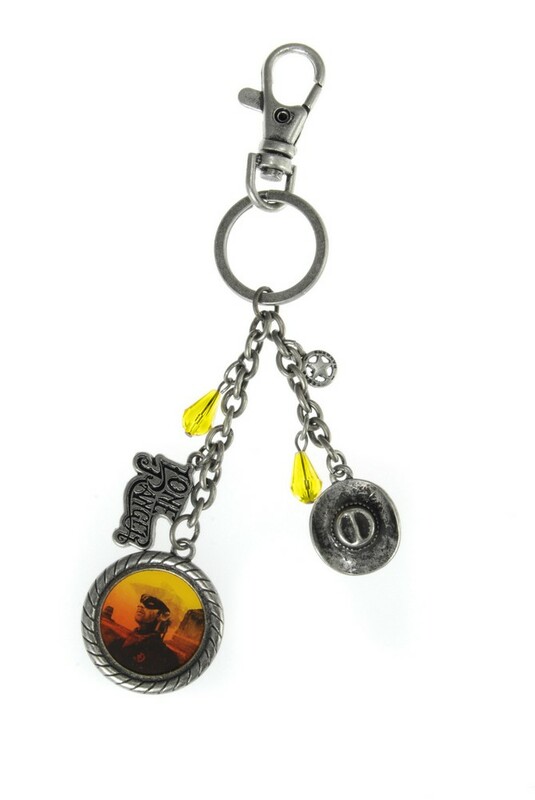 The dangling charms include a sunset-colored picture of the Lone Ranger, his cowboy hat, a Texas Ranger badge, a small plaque engraved with his name, and more! Brass-tone clip is approximately 5″ long.